In a desperate moment you made a deal with an unseen, ancient entity, and now your life is...out of whack to say the least. Don't worry though, there's a household of clever, eccentric, eclectic lady psychics willing to help. One of the ladies in particular knows just what to do, the ethereal Persephone; at times seemingly young and old at once, with dark, knowing eyes and a pale stratus of hair. She also bakes pies. Pecan pie in particular. 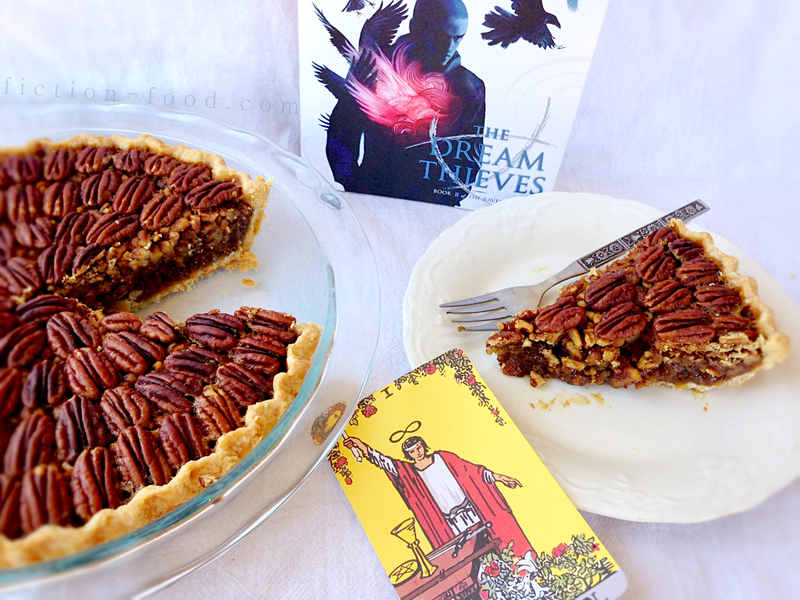 Persephone gave him pie. It was pecan and she had made it and his taking it wasn't presented as an option. 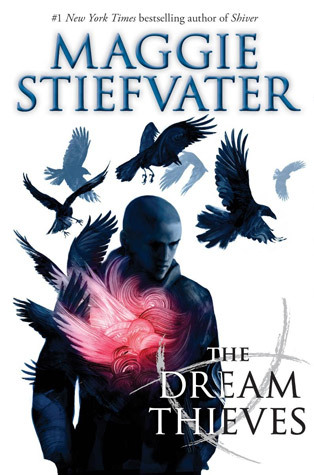 The Dream Thieves is the second book in Maggie Stiefvater's young adult, modern fantasy series The Raven Cycle. The third book, Blue Lily, Lily Blue, comes out this Fall (Oct. 2014). The series follows the relationships & desires of a group of private school boys and one non-psychic-from-a-family-of-psychics girl in rural Virginia, as well as their seeking of an ancient Welsh king along a powerful line of spiritual energy. I grew up on a farm in Virginia (and Maggie currently lives in VA) so I love being able to feel and visualize the setting as Maggie writes it. The characters are also easy to sink into and you'll soon be engrossed in their struggles and wants and won't want to leave them. This second book focuses mainly on the character Ronan, but there is significant development in another of the main characters, Adam, as well. Persephone stood up. "Bring your pie." The reading room was darker than the rest of the house, lit only by blocky candles congregated in the center of the reading table. Adam set the plate on the table. Persephone closed the doors behind her. "Take a bite of pie." Adam took a bite of pie. The World focused, just a little bit. "It's the opposite of safe," Persephone said. "In fact, you'd better have another bite of pie." Note: I used dark corn syrup and dark brown sugar in the recipe below but feel free to use light syrup and light brown sugar, or even granulated white sugar instead. The darker, the richer though! 1. If homemaking your dough, spray pie pan with non-stick spray before putting the rolled dough in. Chill the dough in pan about 30 mins in the fridge or 10 mins in the freezer. Preheat your oven to 350ºF. Beat/whisk the eggs in a medium bowl & add in the vanilla, orange zest, & salt. Spray a liquid measuring cup with non-stick spray & then pour in the syrup to the 3/4 cup mark (the spray keeps the syrup from sticking to the measuring cup). Pour the syrup into the egg mixture & whisk until incorporated & smooth. In a medium pot on low heat, melt the butter until it just begins to brown. Add the brown sugar & stir until completely combined & the sugar begins to dissolve a little (you can turn up the heat a tad). Turn off the heat & then slowly pour the butter/sugar mixture into the egg/syrup mixture, whisking as you pour, until completely combined & smooth. 2. 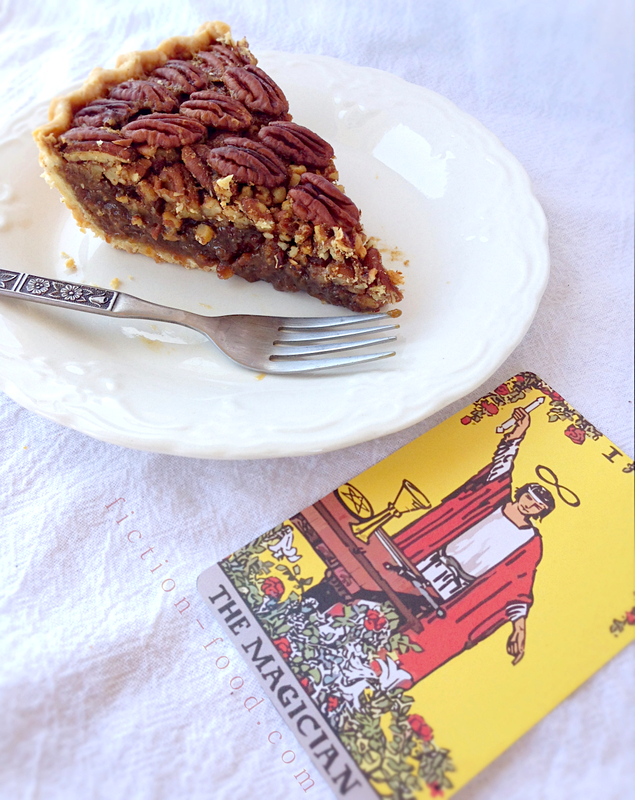 Pour the broken pecans into the chilled pie crust & then pour the sugar/syrup mixture evenly over the pecans. 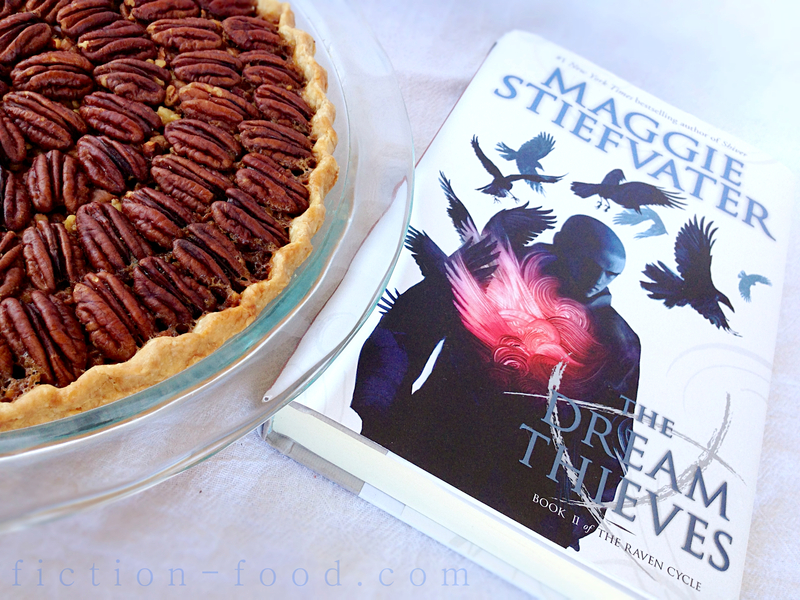 If you'd like to decorate the top of the pie with pecan halves, do so now in a radial pattern (see photos in this post for reference). Poke a few holes int he center of a large sheet of aluminum foil & then tent it over the pie, crust & all. Bake on the middle oven rack for 40 minutes, remove the foil, & then bake for an additional 30-40 mins, until the center of the pie springs back when gently pushed. Remove from oven & let cool completely before putting in the fridge overnight to solidify. Let sit on the counter for about 15 mins or so before serving. Wonderful served with cool whip or homemade whipped cream! 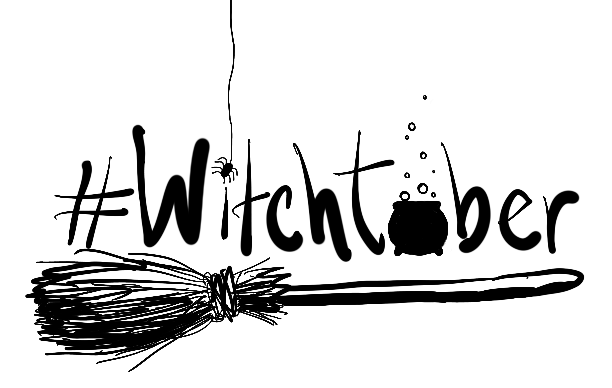 Enter below to win my Raven Boys inspired tea blend from Adagio Teas (3 oz. 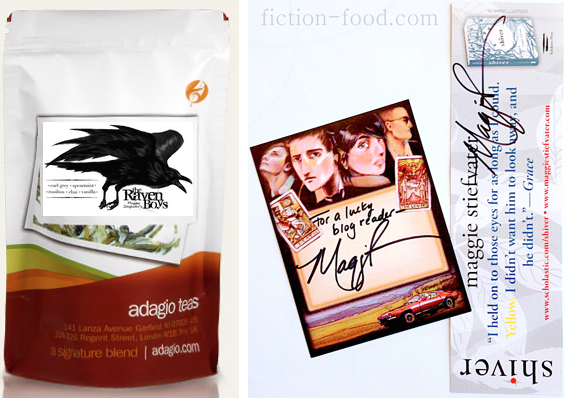 pouch featuring my artwork) with disposable tea bags, an autographed bookplate designed by Maggie Stiefvater (featuring her artwork), and an autographed bookmark for one of Maggie's other series, The Wolves of Mercy Falls (bookmark is double-sided w/ Shiver and Linger). One (1) winner. Open to US residents only. Ends 5/19/14 @ 11:59 PM PST. Tea will be shipped directly from Adagio. The other items will be shipped from me. 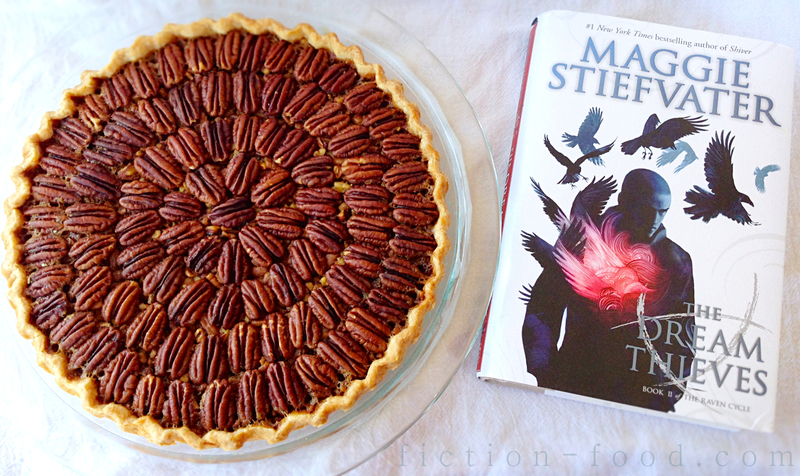 Can't wait to try the pie, but wanted to point out The Raven Cycle is 4 books. Thanks for pointing that out! For some reason I've always thought it was going to be a trilogy. Glad to know it'll be four! 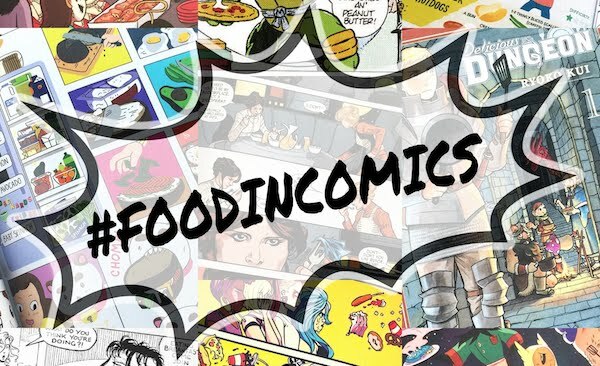 More to read! I know what I'll be baking this weekend.